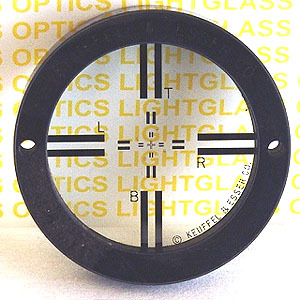 This K&E/Cubic Precision 71-6110 Glass Alignment Target is mounted in a hardened steel ring that measures 2.2498" OD, and it is 0.5" thick. 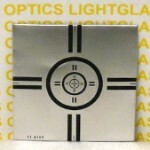 It is a paired-line target and is chrome on glass. This fits in a standard mounting sphere. It is in excellent condition!